My sister and I have been very close to each other since childhood. Honestly, in my family, I’ve been the one who’d fall ill frequently. I would get sick around 3 to 4 times a year, and my sister (Bhavika) would always take care of me. She would take me to the doctor on her scooter and nurse me through my illness. I never thought that there would come a time where I’d be the one to take care of her - she was always the strong one. The past few years have been extremely hard for our entire family. 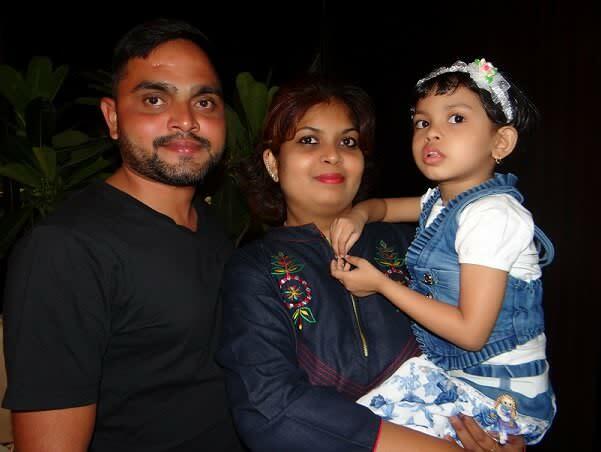 After Bhavika got married, she had the option to go live in Gujarat, where my brother-in-law, Kunjal, worked, or stay in Mumbai, the city she loved. She chose to stay here, with us, and she even got a job as an art teacher in a school. Her focus was always to give her daughter, my niece, Anaaya, a good childhood and a better education. She worked during the week and on weekends she’d go see Kunjal or he would come to Mumbai. 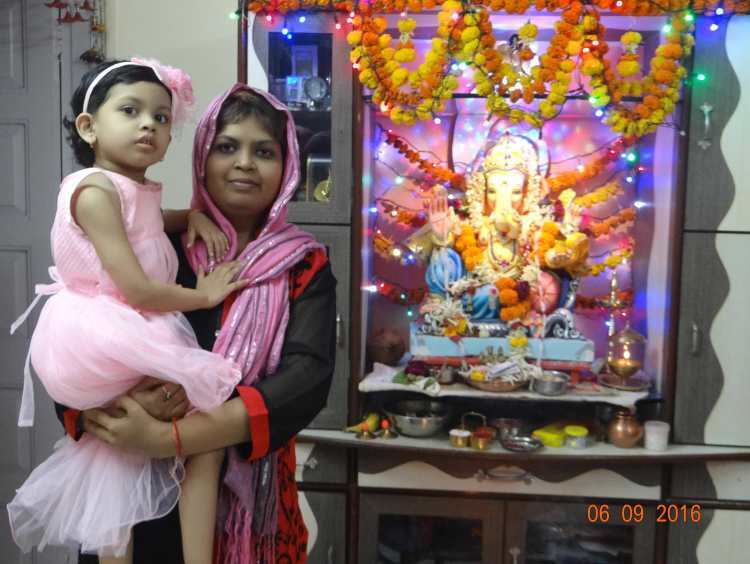 In January 2016, Bhavika, suddenly, got a fever, which was unusual. She started feeling weak too. I thought it might be exhaustion because she had been working too hard but we decided to get her checked. Her hemoglobin level was low and the doctor put her on medication that was supposed to bring her back to normal in a week. But her health only got worse. In a few weeks, her hemoglobin levels didn’t improve and she was so weak that she couldn’t even walk by herself. 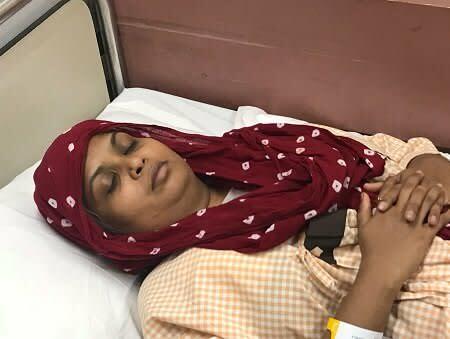 In the first week of March, we learnt that she had acute lymphoblastic leukemia – a type of blood cancer. Never before had someone been diagnosed with cancer in our family. I was very shocked. The day we got to know, we were devastated. I cried for hours and my sister and my mother were so scared. In fact, all of us were scared. We had no idea what to do. 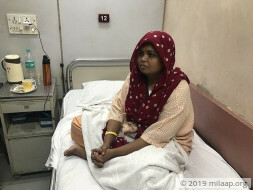 We went to the doctors and all of them said that she needed to start treatment immediately and the costs would be around 10 lakhs. With everything combined, we just had Rs 2 or 3 lakhs with us. But we started her treatment. She received some insurance money and I started asking my friends and colleagues too. My friends are the nicest people on this planet. Once, we needed Rs 2.5 lakhs urgently. One of my friends point blank asked me how much I needed. That same minute, he transferred the entire amount to me, just to help my sister. My colleagues helped me out with another Rs 1.8 lakhs. From March to July 2016, my sister underwent chemotherapy. I had to become mentally strong for her, and she had become strong too. 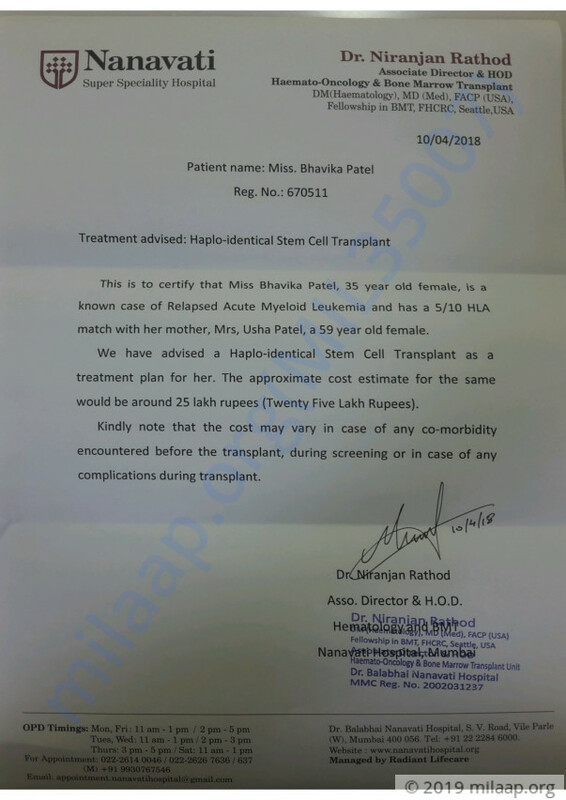 Her reports in July showed that she had been cured! The doctors were happy with her progress and commended her spirit. We even cut a cake in the hospital to celebrate. After 4 months of intense chemo, finally, she was victorious. This was a very emotional moment for me. I was so happy to see how much she had progressed in just a few months. This was a new beginning. She got back to her routine soon. She wanted to work because she cared about her 5-year-old daughter’s future the most. Her follow-ups and reports were going well and the doctors were really impressed too. But, in November 2017, more than a year after, we got terrible news again. I got a call from the doctor’s office and was told that there were signs of cancerous cells in her blood again. My sister's cancer had relapsed and untreated, she has no chances of survival. 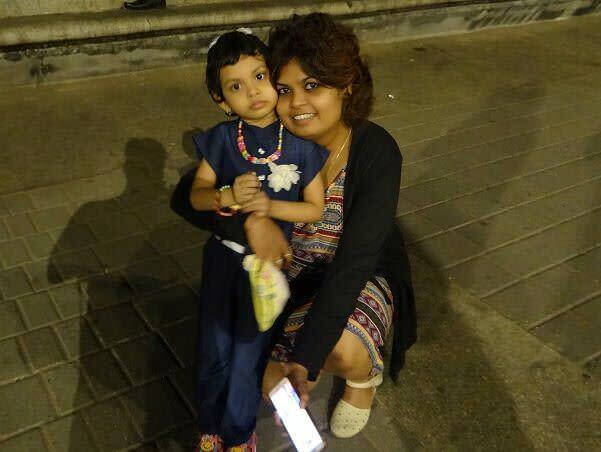 The only thing that could save her is a bone-marrow transplant. Unable to speak, I spent a few hours just by myself. I couldn’t help but break down into tears. My sister dismissed all of this because she felt healthy and strong. But, I told her that she needed to go through this too with the same positive attitude. She can get better if she gets a bone marrow transplant and my mother has been matched as a donor too. She is strong because she has gone through this before. 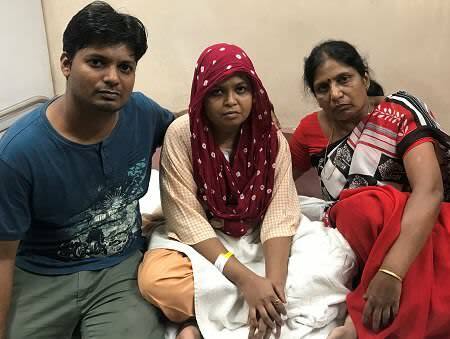 As a family, all of us want her to be in perfect health. But the whole procedure costs around Rs 25 lakhs which is way more than we can ever afford. Her husband earns around Rs 12,000 a month and we all have no savings left. It’s so hard to take care of her when Bhavika is not here because she is, naturally, so attached to her mother. 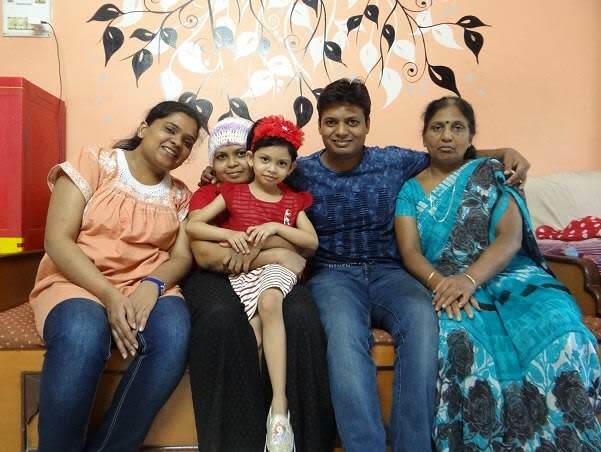 We struggled and managed to provide Rs 16 lakhs during her previous treatment in 2016. These days have been really hard and tormenting. 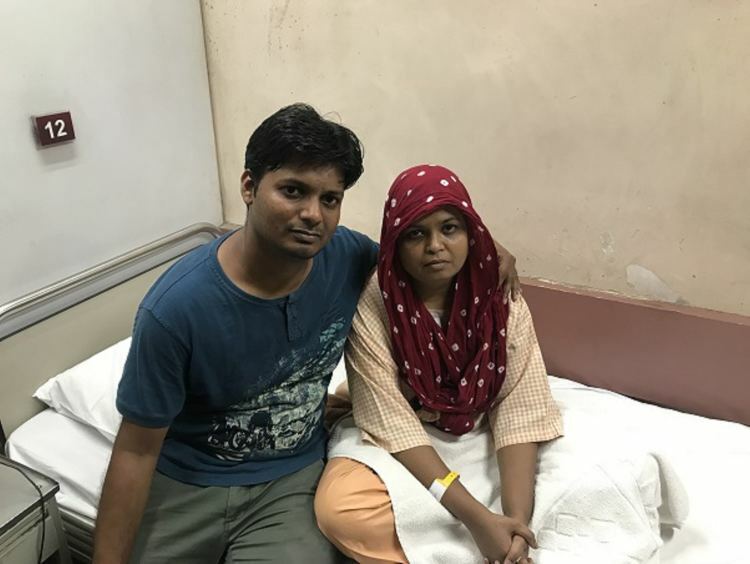 But we can't give up hope - it is a matter of saving my sister. 35-year-old Bhavika has relapsed following a victorious battle against blood cancer in 2016. Her family has exhausted all their resources and they have absolutely nothing to save her. Now, she needs your help to undergo the life-saving bone marrow transplant. 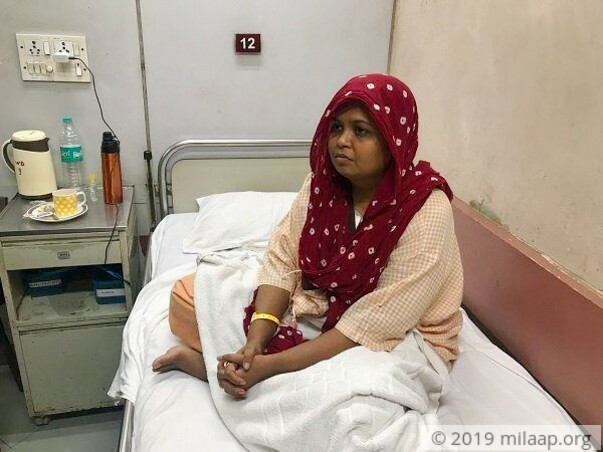 Your support will save Bhavika.